I cannot begin to express how highly I rate the whole Troubadours series and as much as I was looking forward to this final instalment, I was also sad to think that this was the end of my journey with Estela and Dragonetz. 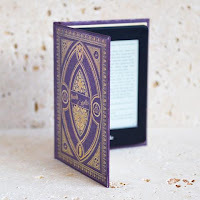 I do love historical fiction but before starting this series, I hadn't read anything set in the 12th Century and whilst it has been a fascinating history lesson it has also been an emotional and exciting journey. Eleanor of Aquitaine, who we first met in Song at Dawn, offers Dragonetz a way to get back into her favour: he must travel to the isles of Albion to pave the way for her new husband, Henri of Anjou, to take the crown of England and become Henry II. Estela is determined to make the journey with him, and Dragonetz knows he can't argue with her when she has got something into her head. So Estela and Dragonetz head to Wales where Dragonetz must make allies of the Welsh lords of Deheubarth: brothers Maredudd and Rhys ap Gruffyd. The brothers are naturally suspicious of the foreign visitors but after passing their tests, Estela and Dragonetz soon become a welcome addition to the welsh court...or do they? Sometimes appearances can be deceptive and Estela and Dragonetz are in more danger than they realise. At the conclusion of this series, I think I finally understood why I love Jean Gill's writing so much: she has taken real historical characters and events but added strong fictional characters who I came to know and love. I could read a book about Elizabeth I, but because she was a real person I don't have any intense feelings about her. With Dragonetz and Estela, I've watched them grow and evolve from their first meeting when Estela was no more than a girl to the intense feelings of love and respect they have for each other as husband and wife. When their lives were in danger, both at home and abroad, I felt real fear for them and utter devastation that they were in this situation; I couldn't, and wouldn't, believe that their luck could have run out. With such vibrant and strong characters, this is historical fiction with heart. 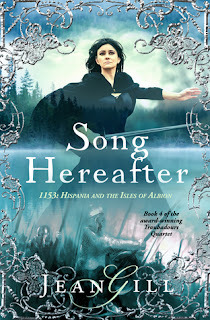 I loved the Welsh setting of Song Hereafter as I do have Welsh ancestors. Having dabbled in genealogy, I found that I have more Welsh blood than I first thought and can trace my ancestors to both North Wales on my Grandad's side and to South Wales on my Nanna's side. Jean Gill has reawakened my desire to travel to the land of my ancestors, and follow in the footsteps of Estela and Dragonetz. I heartily recommend that you add the whole series to your reading list. The magnificent Troubadours Quartet is an epic journey through the 12th Century and a series that I will return to again and again. I'm so glad the last book didn't disappoint, Michelle, and thank you for the wonderful, perceptive review. Just reading it makes me relive the adventures of Dragonetz and Estela!